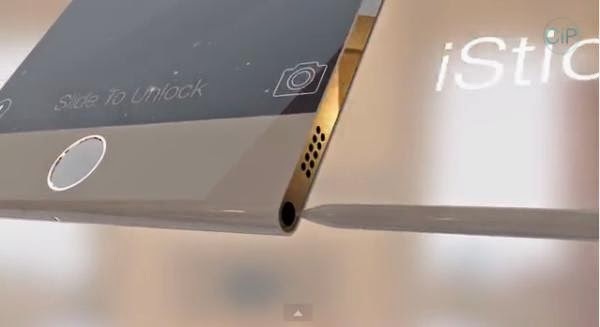 The concept design comes courtesy of ConceptsiPhone and features a stylish looking iPhone 6 Pro. The device features a 3MP front facing HD FaceTime camera with the handset measuring only 7.2mm in thickness. At the bottom of the handset below the home button we have a notification light, and on the side of the device is what is being called the iStick which is basically a stylus that extends once taken out of the handset. This won't happen. Styluses are from the 90's and Apple will never do that. Using a stylus is one of the worst user experience you can have. It's only for artists that using it to draw and paint with. Nothing else. Everyone I know owning a Galaxy Note stopped using the “S-pen” already after a week o two. And no, using it for taking notes during meetings is not an excuse. It's both faster and more effective to type for real instead. Then you simply have a bad touch keyboard. I have done shortcuts on the iOS keyboard for taking notes during meetings that makes it so easy and fast.